I&apos;m running out of reasons to justify working at Goldman Sachs. If they get rid of Blankfein Breakfast Sandwich Sunday, in which employees are compensated for coming in on the weekend to cook the books with a delicious and sacrilegious pork-themed treat-- probably because sin tastes so good-- I&apos;m done. We have it on a good authority that the powers that be at 85 Broad have just hiked vending machine rates. Items which previously cost 75 cents will now set you back an additional $0.20. This on the heels of a ridiculous cost cutting initiative that saw expensed dinners go from $25 to $20, and the downright ludicrous ban on free soda and water. One employee in particular is so distraught that he told Dealbreaker, "In a way I almost feel a twinge of gratitude that 10% of my departed brethren never had to wake up to a workday full of such cut-rate ignominy." Sure, it sounds like typical smug confectionery entitlement characteristic of a GS employee which would normally get a "Shut up, Winkelried," but at this point we truly feel unmitigated sadness. 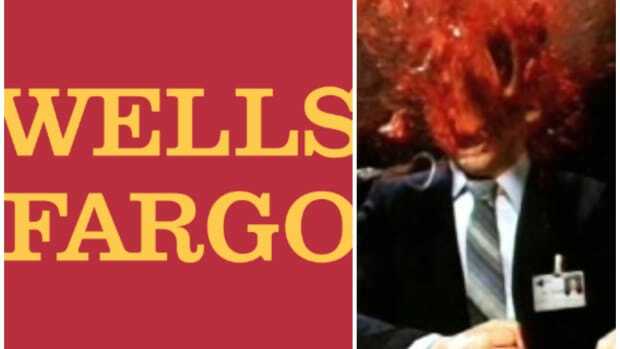 As Wells Fargo looks worse, a dumb new debate about the CFPB gains traction.